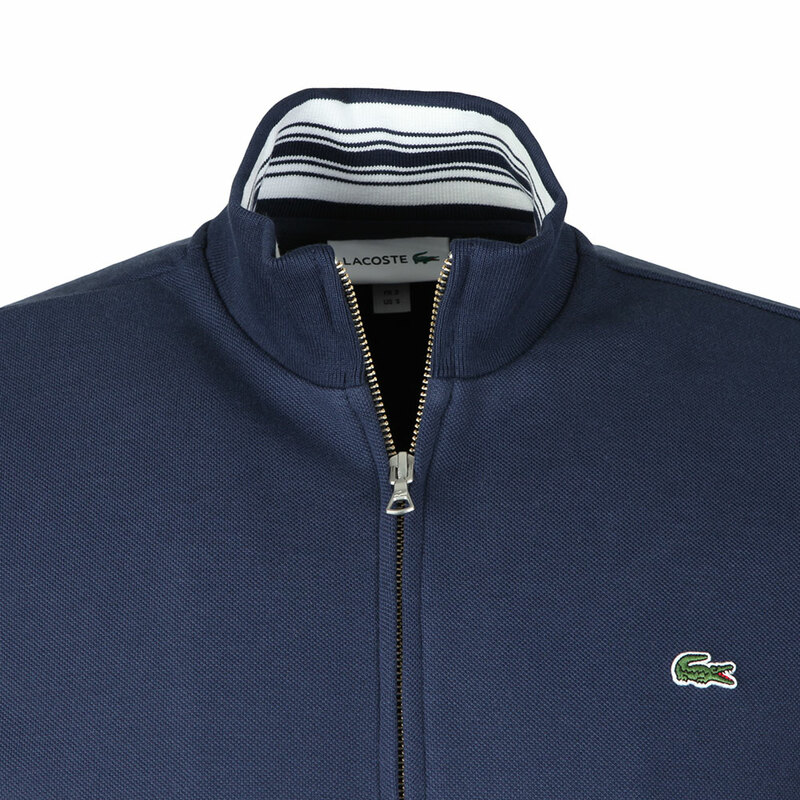 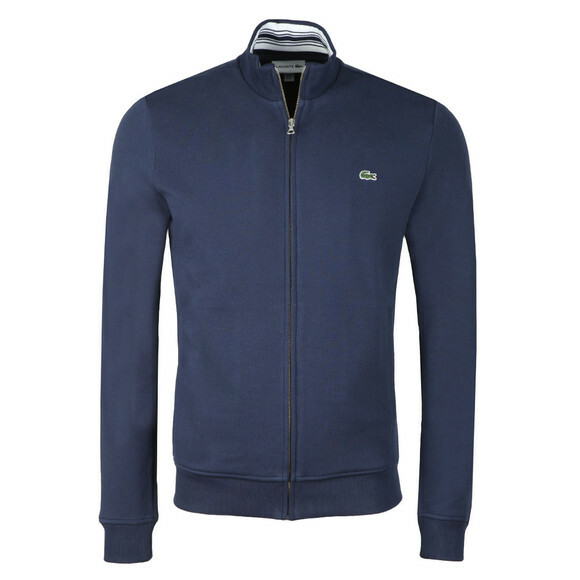 Lacoste SH3292 Full Zip Sweatshirt in Marine. 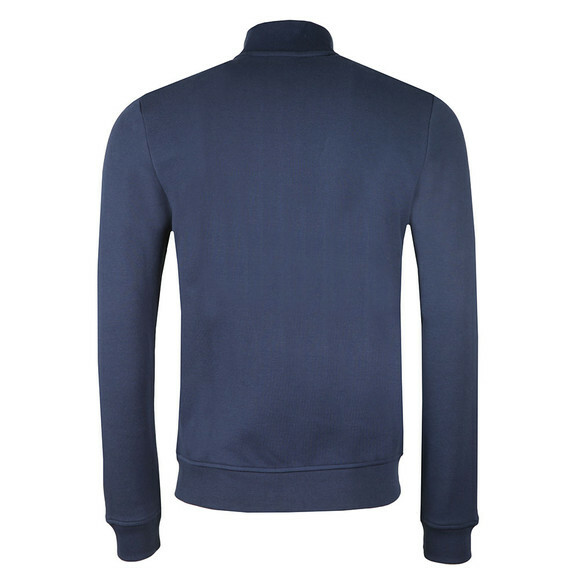 Designed with a high, bomber style collar that features contrast tipping on the inside and given slightly elasticated cuffs and hem for comfort. 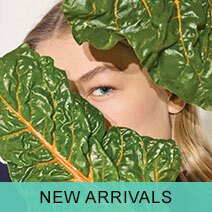 This item also carries the iconic Lacoste Green Crocodile Logo to the left of the chest.